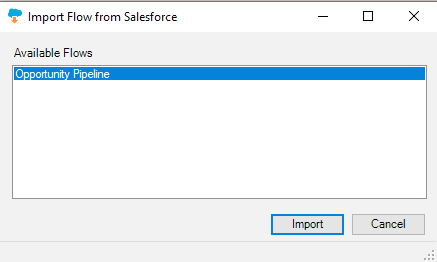 Starting from version 3.1.8.0 XL-Connector supports exporting Flows and Flow Steps to Salesforce and importing them back into your Excel document. Your Team Player users also have an easy way to import a flow previously created and exported by the admin. In the subsequent dialog box, select the required flow and click Import.